MASSIVE VOODOO: Good night my dear jetbike! 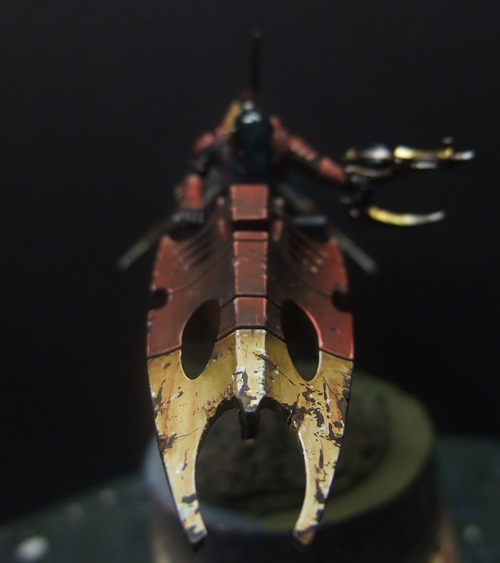 time to get some sleep now but my little dark eldar jetbike i started this noon was too much fun! The new Dark Eldar minis are pretty cool in my opinion and i the jetbikes are especially cool. There are 5 Kommentare for Good night my dear jetbike! yammi yammi ! looks already nice - i understand why you like this spot. I DEMAND a fracking 360 degree 3D swivel tool with zoom functionality.